We maintain a community of professional relationships that foster our ability to deliver leading analytics solutions to help clients unlock the business value of their data. SAS is a strategic partner and cornerstone of our solutions. Since 2001, SAS has relied on Zencos to deliver quality solutions to their most important customers, and provide their expertise on SAS services engagements. We have grown and maintained our partnership with SAS by making it our business to know their platform inside and out. We leverage this longstanding relationship and expertise to develop innovative SAS applications that have received numerous awards by SAS and other industry organizations.We thrive on solving business problems that require innovative and cutting-edge applications of SAS. This passion has earned us respect as thought leaders in the SAS community. Over the last two decades, Zencos has been a leading provider of Big Data solutions both as stand alone warehouse applications and integrating Big Data into an analytical solution. Hadoop has played an increasingly large role leading Zencos to become a member of the Partnerworks community by Hortonworks. With the merger of Hortonworks and Cloudera, Zencos will soon become a member of the Cloudera Partner community. Our solutions are 100% open source so innovation happens faster and your architecture can easily evolve as technology needs change, with no vendor lock-in. Hortonworks is a leader in global data management, providing solutions that give customers the freedom to use data of any kind, and manage that data regardless of location. Along with our partners, we provide the technology and expertise so customers can leverage modern data architectures on premises and in the cloud, build next-gen data applications and lead in their industries. Learn more at hortonworks.com. Zencos has a strong relationship with Teradata as a stand alone company and also because of the Teradata/SAS integration. The combination of SAS and Teradata creates a powerful analytical solution especially when the two are implemented together by someone that knows how to make the best use of each in the most efficient way. The Triangle of Teradata, SAS, and Zencos creates a powerful team of technologies and expertise. Zencos is an active member in the NCTECH Association. 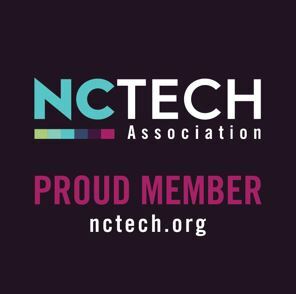 We enjoy participating in the community of NC technology companies that NCTECH fosters. We especially appreciate the informational and networking events that provide learning opportunities for us as well as the chance to communicate Zencos’ interests and abilities to others. Zencos has delivered full end to end AML solutions as well as other financial crimes solutions to dozens of financial institutions in the United States. Being connected to organizations such as The American Bankers Association keeps Zencos close to the trends and able to better consult with our clients. The American Bankers Association is the united voice of America’s banks—small, regional and large—that together employ more than 2 million women and men, hold nearly $17 trillion in assets, safeguard $13 trillion in deposits and extend more than $10 trillion in loans.